On Thursday morning, several BMO Financial Group and Arts Umbrella administrative staff had a different kind of start to their day. 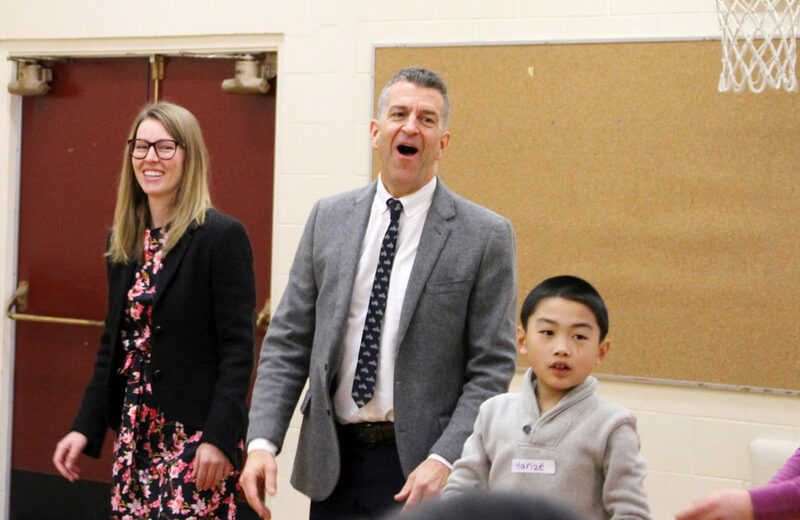 Instead of heading straight to the office, we met at Lord Selkirk Annex—an elementary school in Kensington Cedar-Cottage—for a very special announcement and program visit. Arts Umbrella Theatre instructors Karren Worrod and Daryl Fretz, along with teachers and students, invited us to take part in their morning warmup. In Theatre, this warmup readies the kids for their 90-minute class. Today, we joined in. Following Karen’s lead, everyone in the room shook out their limbs and bodies, and made faces and noises to limber up for some fun theatre exercises. During this visit, BMO Financial Group announced a three-year title sponsorship of the Van Go and Stage Coach Program, with a financial commitment of $75,000 per year. 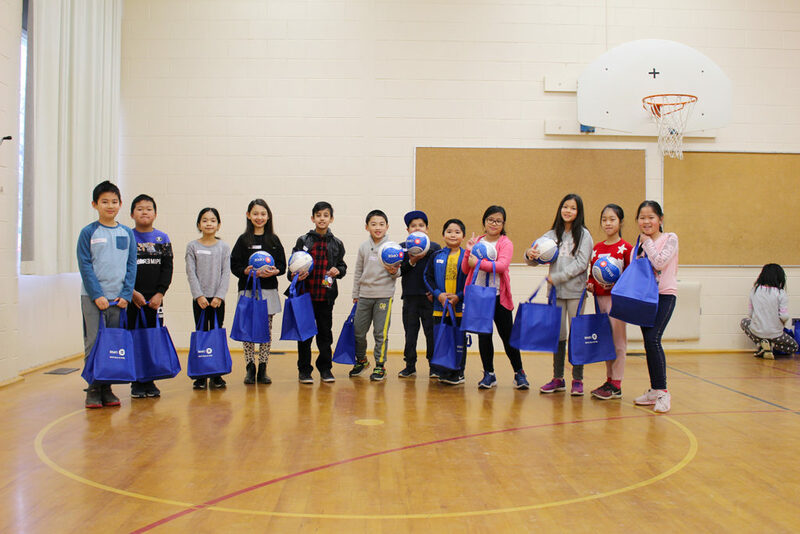 With their support, Arts Umbrella Theatre and Visual Arts instructors will visit elementary schools across Metro Vancouver throughout the year. Each elementary class explores a curriculum-relevant topic through Theatre and Visual Arts classes—experiencing the arts with theatre games, performance, drawing, painting, and more. School children have the chance to embrace diversity, explore artistic expression, and nurture community spirit—all while having fun. BMO is no stranger to community spirit. For more than three decades, BMO has supported Arts Umbrella’s mission through regular contributions to its bursary fund and community programs, as well as the Arts Umbrella Dance Company. In 2012, BMO also played a crucial role in the establishment and development of Arts Umbrella’s Surrey locations, helping to bring high-quality arts education to this fast-growing community. But there’s more! 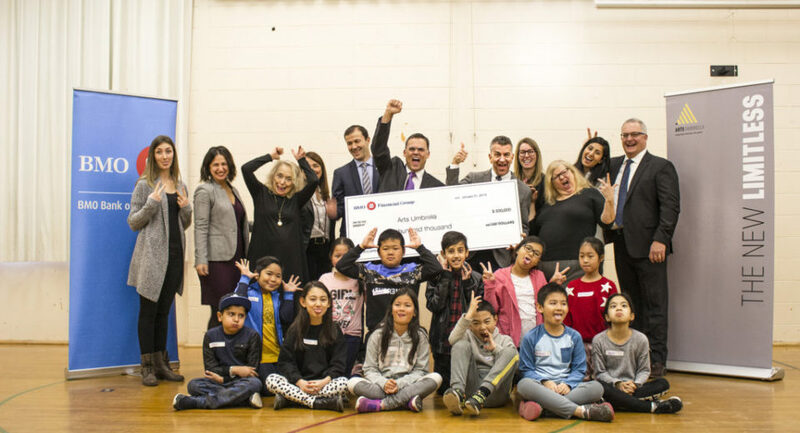 During the visit, BMO Financial Group announced a $500,000 contribution to the Arts Umbrella Building Project, helping to ensure thousands of young people can fully express themselves through the arts and share their passion with the world. Opening in 2020, Arts Umbrella’s new core facility is a transformative opportunity to create a centre of excellence for children’s arts education in Canada, more than doubling the organization’s capacity with increased studio space, a publicly accessible exhibition gallery, 160-seat professional black box theatre, and new workshop spaces thanks to leading donors like BMO Financial Group. 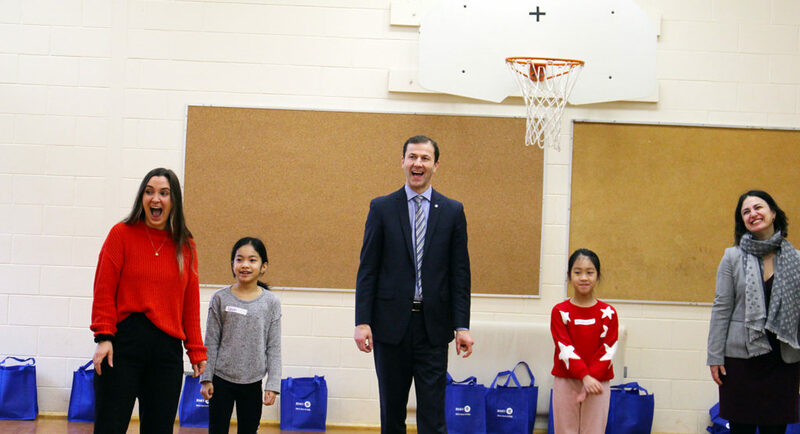 In the gym at Lord Selkirk Annex, we could all see the reality of BMO’s commitment to the Van Go and Stage Coach program, as well as imagine the limitless potential of our future home on Granville Island. Thank you, BMO Financial Group for your energy, spirit, and commitment to our community!